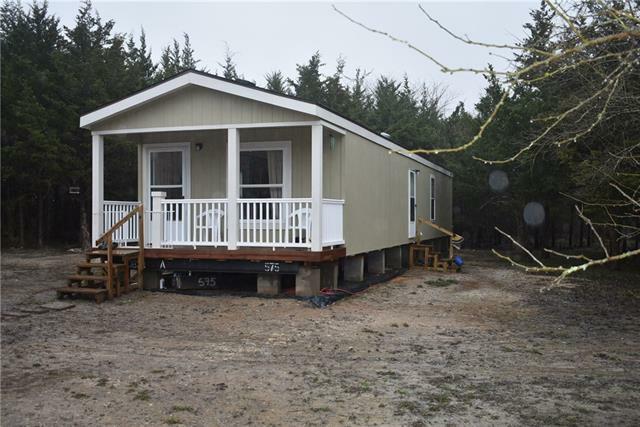 All Honey Grove homes currently listed for sale in Honey Grove as of 04/19/2019 are shown below. You can change the search criteria at any time by pressing the 'Change Search' button below. If you have any questions or you would like more information about any Honey Grove homes for sale or other Honey Grove real estate, please contact us and one of our knowledgeable Honey Grove REALTORS® would be pleased to assist you. "This beautiful 114.0 acre property could be your new country home or weekend hunting resort. Newly Custom-built home with stone exterior and a metal roof. A rustic theme is carried out throughout the house with a fireplace and wood floors. Kitchen features a large island with a sink and dining area. The master bedroom has a large master bath with a stone shower, spa tub and a gorgeous outside view. 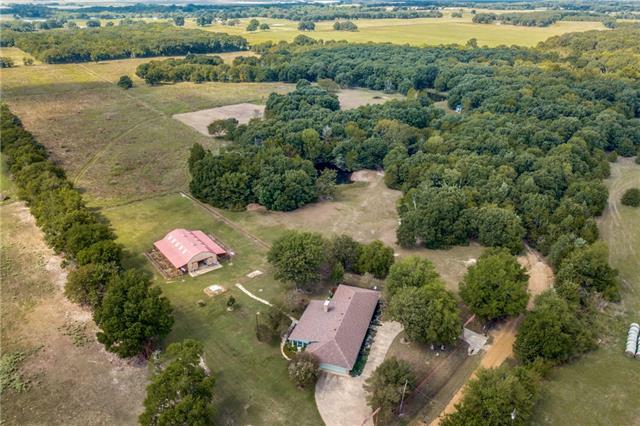 The house has one guest room and guest bath with potential to add a second story if you need ext"
"This 54 plus acres known as Thousand Oaks Ranch is a Wildlife tax exempt Ranch and recreational prop. NE of Dallas. 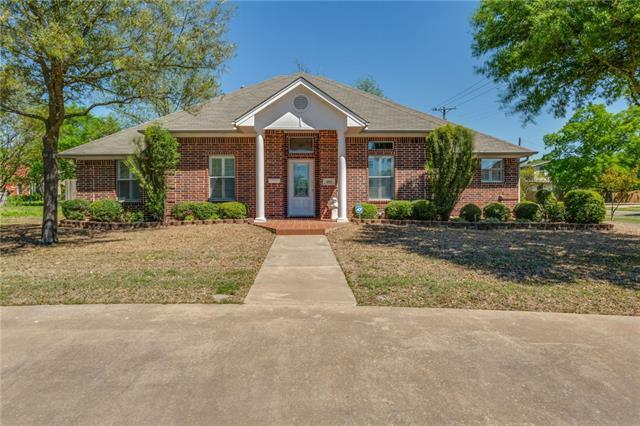 Lovely and updated 3,2.5,2 brick home with a bonus and Sun-room. Professionally Landscaped with water feature and sprinkler system. Metal barn is 30X60 with 10 stalls, 2 tack rooms, automatic water and fly system ready for your horses. Furnished guest house nestled in the woods. Storm shelter and utility shed. Abundant wildlife. Property is fenced and cross fenced with native "
"Stunning 57.9 acres offering tons of amenities. 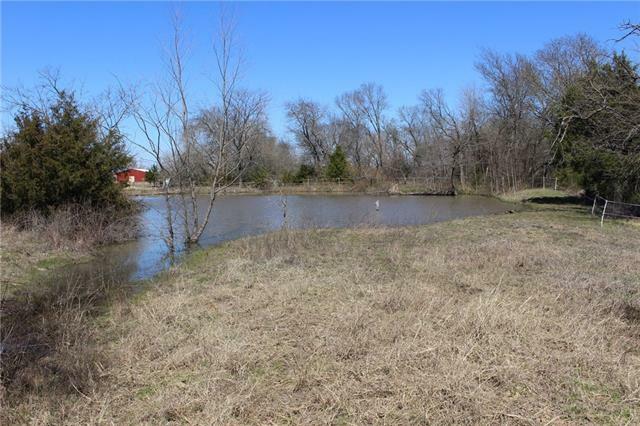 This breath taking property is fenced and crossed fenced with 3 large ponds and 3 loafing sheds. There are tons of pasture for grazing and offers great hunting as well. The custom built barns and work shops are incredible. Ten stall show barn also offers an office and bathroom. 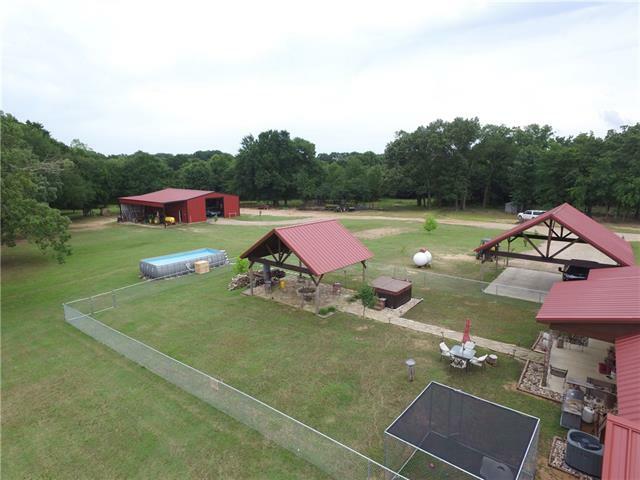 Outside the barn features a large pipped arena with roping chute, round pen, and working pens. Massive hay barn in addition two other large work shops. 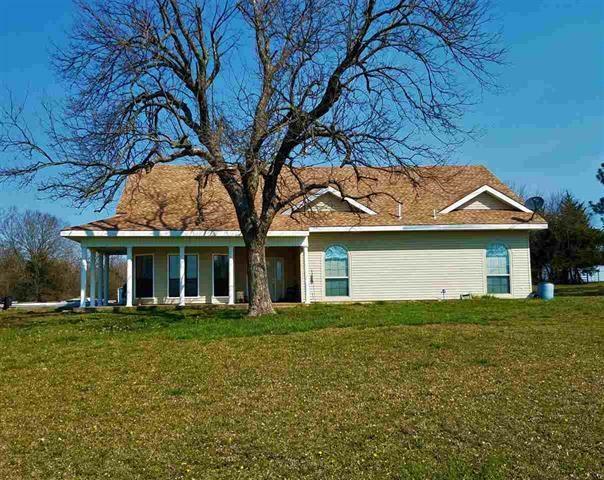 The main residenc"
"Charming country home in Honey Grove sitting on 10 acres! 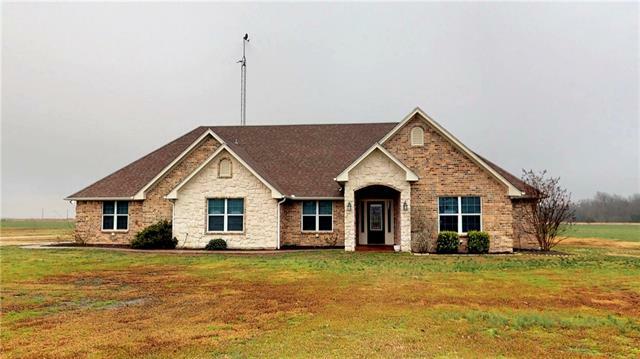 This home offers 4 bedrooms and 3 full baths. Open inviting living area with tons of natural light adjacent to kitchen, breakfast and formal dining. Kitchen features custom cabinets, electric range, breakfast bar, and spacious pantry with tons of counter space. Master suite with custom cabinets, tub and separate shower. Each bedroom has generous sized closets! Outside there is a covered patio and sidewalks all with stained concrete. 30 X "
"4 BED 2 AND A HALF BATH family home with 68 acres of land to explore! New roof, jet tub, and walk-in closets. Home and improvements not located in flood plane but southern-most portion of property is." 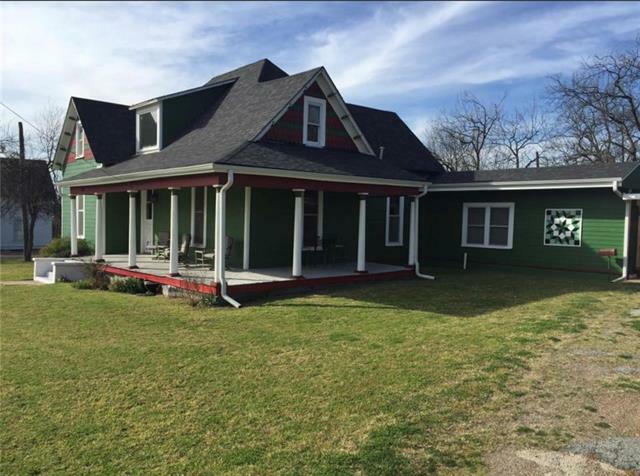 "This colonial style house is conveniently located on Main Street in Honey Grove! House has been owned by the same family since it was built in 1907. 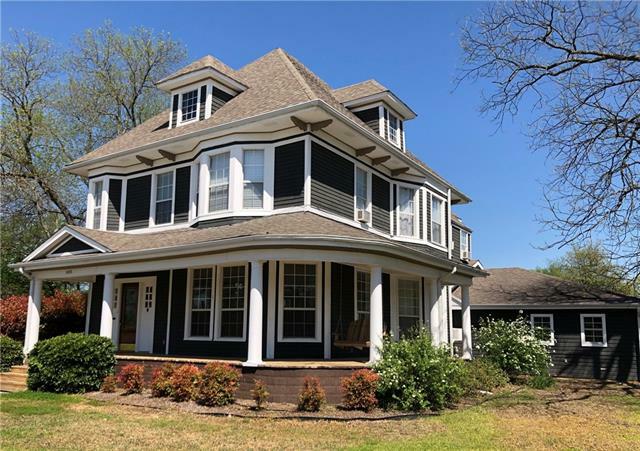 There are many beautiful details in this house including the woodwork, many large widows, two decorative fire places, a formal dining, casual dining off of the kitchen, and game room that opens up into the backyard. The house has a large wrap-around porch with a swing and a large fenced back yard with a deck and many large trees for shade. It has"
"Reduced!! Looking for a place to get to the Woods? You've found it! Gorgeous Wooded property with abundant wildlife. Beautiful Palm Harbor Home in the woods gives you the quiet and solitude you've been seeking. Enjoy the peace of country living in this piece of heaven. For the hunter, deer and wild hogs abound. Large hard woods are throughout the property. Trails to ride your ATV's Get back to to the country on this incredible country estate. 20 ft container box conveys with the property. Pr"
"Charming brick single-story home located on a spacious corner lot. Upon entry you will find an open floorplan with great flow between living & dining areas, perfect for entertaining or everyday living. Updated kitchen features granite counter tops, stainless steel appliances, & large breakfast bar. Storage space is abundant throughout the home, including 2 closets in laundry room & 3 closets in the master bedroom. Extended rear entry driveway offers direct access to 20 ft x 29 ft outbuilding, co"
"SOLD AS-IS NO EXCEPTIONS. 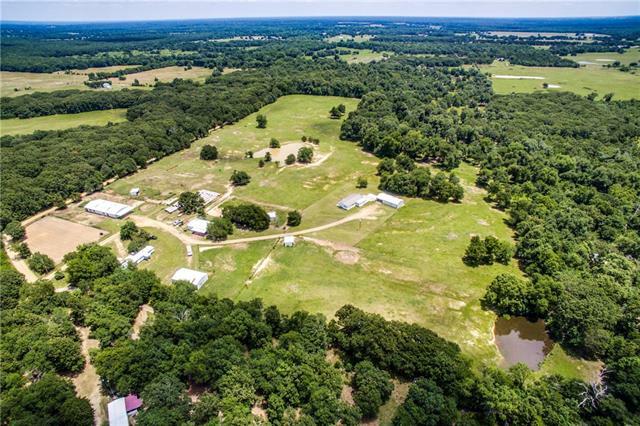 Small acreage close to Highway 82 and FM 100 not far from the now approved Lower Bois D'arc Creek Reservoir. Pasture land with fencing that needs work and stock tank. Has a home on the property but it is in need of repair in order to be occupied." "You will be charmed from the moment you walk into the grand entry. Living room has impressive pocket doors into the formal dining room with a faux fireplace and custom built mantle. Custom built cabinets in kitchen have impressive amount of storage. Oversized bedrooms. Back bedroom has tape and bedding done so finish it your own way. Large room upstairs can be left as is for storage or room enough to add a bedroom or two, game room or media room. The possibilities are ripe for your imagination"